To get the most out of Google, some businesses will add a Google My Business appointment URL – a.k.a. local business URLs – in their listings. These are links to crucial information like a menu, service offerings, or reservation prices, which are hosted on third-party sites like OpenTable, SinglePlatform, or Hotels.com. In some situations, the URL comes in the form of a button at the top of a listing that encourages customers to “Find A Table” or schedule an appointment, which saves customers time while learning more about a business. Here’s how to set it up for a listing. Business must be listed on GMB and verified by Google. Those without an account can learn the basics of GMB by reading our how-to guide. GMB accounts with multiple locations will have to click on a specific location to manage its appointment URLs. The next step is to click on the URL section, which is marked by a small icon of the Earth. A series of empty text fields will appear where you can add URLs from third-party sites. Hit the Apply button when you’re finished. The number of available URL slots will vary depending on the business’ category. In some cases, some businesses will see a third-party appointment URL added automatically to their listing. This is a result of one of two scenarios: Google’s partnership with a service or a business’ relationship with a third-party site. These automatic additions cannot be removed or edited through GMB. Businesses should contact the support or technical teams of the third-party site to remove or edit information in the appointment URL. One of the major Google partnerships is with OpenTable. Businesses with an OpenTable listing can allow customers to make reservations on their Google listings page. This makes it easier for diners who are looking for a lunch or dinner spot. Depending on their choice of OpenTable’s products, businesses might have to pay more for each reservation if it’s placed on Google instead of OpenTable. Links can automatically appear if a business has a “previously established” relationship. One example of this relationship is in hotel listings. In some cases, customers can book a reservation on Google when searching for a specific hotel. However, Google also shows different prices for the same reservation on third-party sites. Customers can’t make a reservation on those sites on the Google listings page, but they can click on the third-party site’s link to reserve a room at the cheaper price. It’s important to list a business on as many sites as possible for online exposure, but that can also lead to better information for potential customers by way of these appointment URLs on a Google business listing. Aside from adding URLs to GMB, beauty and fitness locations can take advantage of the Reserve with Google service, which allows customers to book appointments directly through Google. In order to join the program, businesses will need to add and update their daily schedules with a third-party scheduling site that has a partnership with Google. There are currently 33 scheduling websites that have Reserve with Google partnerships such as Bookatable, Booksy, and SalonRunner. Just because the “Find a Table” or “Book a Room” is on a listing doesn’t mean that people will immediately click it. Businesses will need to do more with their listings to attract customers. This includes adding as much information as possible. Include detailed descriptions and categories so that Google can better understand the business and provide better matches for search queries on Google Maps. Adding photos can also make a listing more attractive. The right photos for a business can bring more customers. Prominent businesses might even include photos from past customers in their listings. Reviews are perhaps the most important factor in any listing, especially for Google listings. An online reviews survey showed that 63.6 of consumers will check reviews on Google before visiting a business. 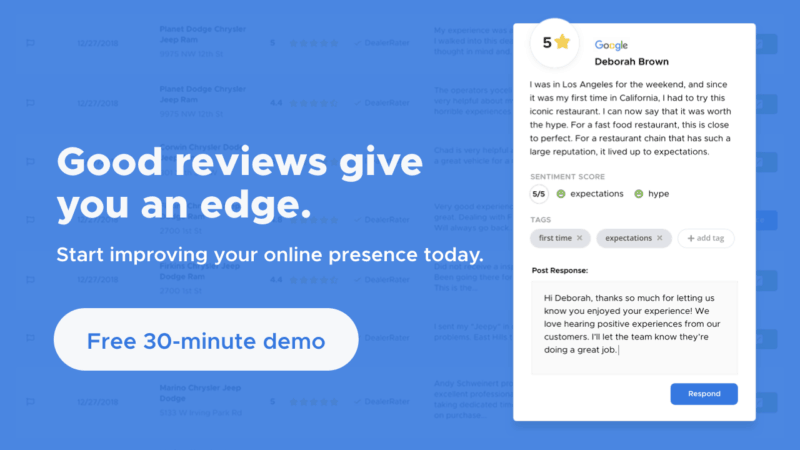 Businesses should be asking for detailed reviews and ratings, which can also help with search rankings. With enough reviews, photos, and other information readily available customers can make an informed decision when they make a reservation through Google’s appointment URLs. Google seems to think it can break Yelp’s hold on the review market. In the end I think that Yelp will win, though I suppose it depends on who ends up buying them and how much money they have to pump into the fight with Google. Either way all of the push to innovate online local shopping is good for consumers. It might work honestly. Yelp hasn’t been doing that well financially I guess. How about the next G+ takedown, how will affect the URL? It will good to create a setting also of the office nor only for Hotels.